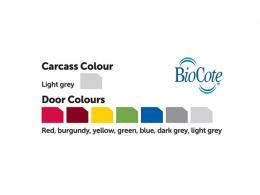 Looking for a way to keep your personal effects organised and secure in your working environment? In this case, you may need pieces of furniture especially designed to serve this purpose. Take a look at the personal effects lockers brought to you by The Workplace Depot and order your favourite models with a few clicks. What Is the Purpose of Personal Effects Lockers? 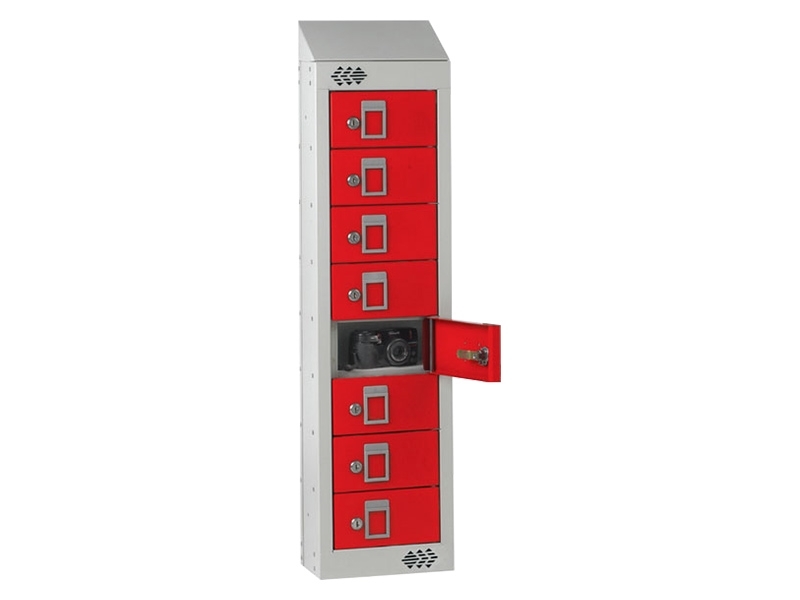 Sturdy, stylish and versatile, the personal effects lockers that we provide offer you the highest level of protection for a wide range of goods and enable you to keep them within reach in your workspace. Whether you require a smart organisation solution designed to help you reduce or eliminate clutter, prevent theft or keep your everyday essentials within grasp at all times. This multifaceted, practical product can be implemented and used in different environments, given its versatility. It would constitute an excellent addition for several public spaces, including transport hub, middle and high schools, workplaces and locker rooms. Considering their robust construction, durability, affordability, stylish design and ease of use, the personal effects lockers that we put at your disposal are purchased and used by a broad category of clients, including company owners, students, employees and basically anyone in need of narrow, secure storage compartments with a high practical and aesthetic value. 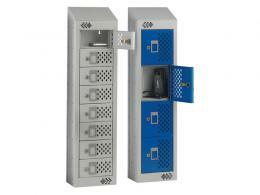 These lockers are a convenient storage solution for a large category of small valuables, including wallets and phones. We offer you the chance to choose from several models featuring 4 or 8 compartments. Available as individual lockers or in pairs of two, these essentials allow you to prevent security risks and keep your priceless personal belongings by your side at work. They can be bolted together (one of top of the other or side by side), or they can be mounted on walls. 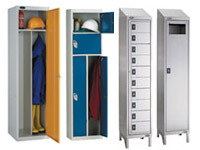 We stock and sell models with sloping or flat tops, as well as personal effects lockers with perforated or solid doors. The first option enables you to visualise the contents of your lockers without leaving the door open to security threats, while the second one gives you the chance to keep your valuables protected from prying eyes. All the models come with a set of two keys. If needed, we would gladly offer you the chance to order a model with an access hole in the back for every single compartment, designed to accommodate charging cables. Check out our selection of robust, elegant personal effects lockers and benefit from free shipping, discounted rates and excellent client service.